Our novelty wine glass is the best possible gift idea for your friends who like to indulge in a cheeky glass of vino of an evening. 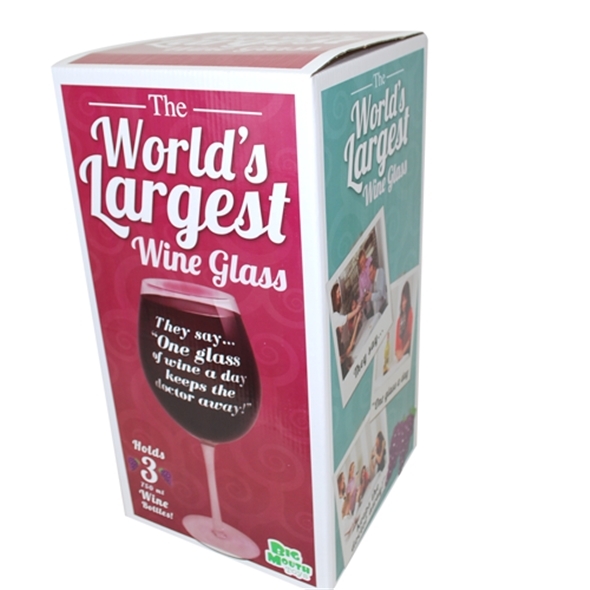 This huge wine glass can fit a massive 3 bottles of wine in - so you can get well and truly sozzled from just one glass! Text on glass says "They Say... 'One Glass of Wine a Day Keeps the Doctor Away!'" If you've had a stressful day at work, if you're celebrating, if you're a little tired, if you're having a night in, if you're having a night out - a glass of wine is a welcome addition to any of the above occasions (and a few more too). And now guys and gals - we introduce you to a wine glass that will officially and appropriately satisfy your wine cravings with just. One. Glass. 'IMPOSSIBLE' we hear you cry! Alas, it is true. Let us introduce to you the World's Biggest Wine Glass (don't quote us on that or anything). This baby can hold THREE bottles of wine in just one glass - meaning that one glass of wine will leave you feeling full, satisfied, warm and quite frankly; pretty darn drunk. 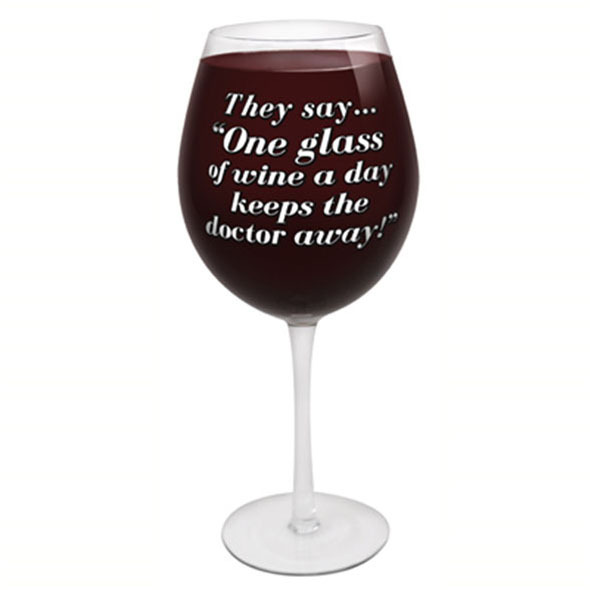 The adorable slogan on the glass says "They Say..'One Glass of Wine a Day Keeps the Doctor Away! '", though if you're consuming one of these sized glasses every single day we're not quite so sure how accurate this saying may be. 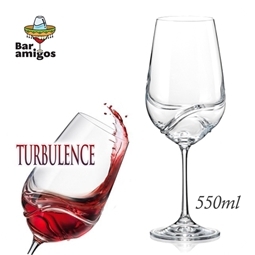 What we do know, however, is that 'just one glass' need no longer be a bore - so turn that frown upside down and add one of these huge wine glasses to your basket! Trust us, you won't regret it. 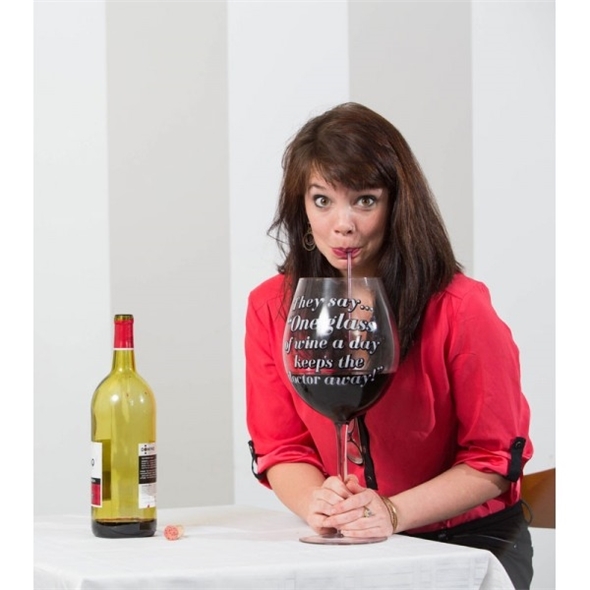 This big wine glass makes a fantastic novelty gift idea, and will guarantee a smile and a giggle or two when received.